We can’t control when a disaster will strike. 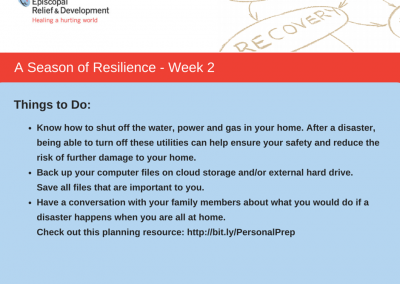 However, planning ahead has a tremendous impact on how resilient we are after a disaster event. 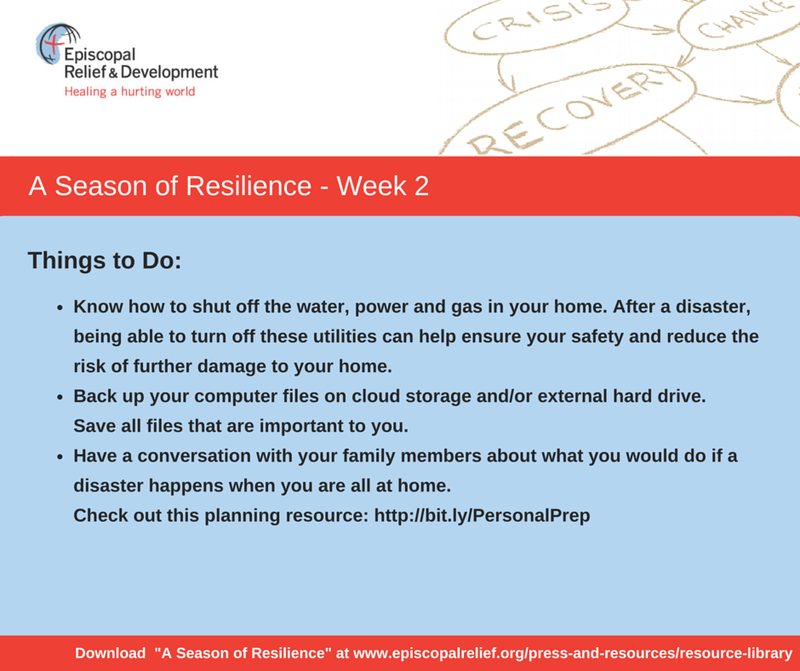 There are many resources available to help you in your disaster planning. 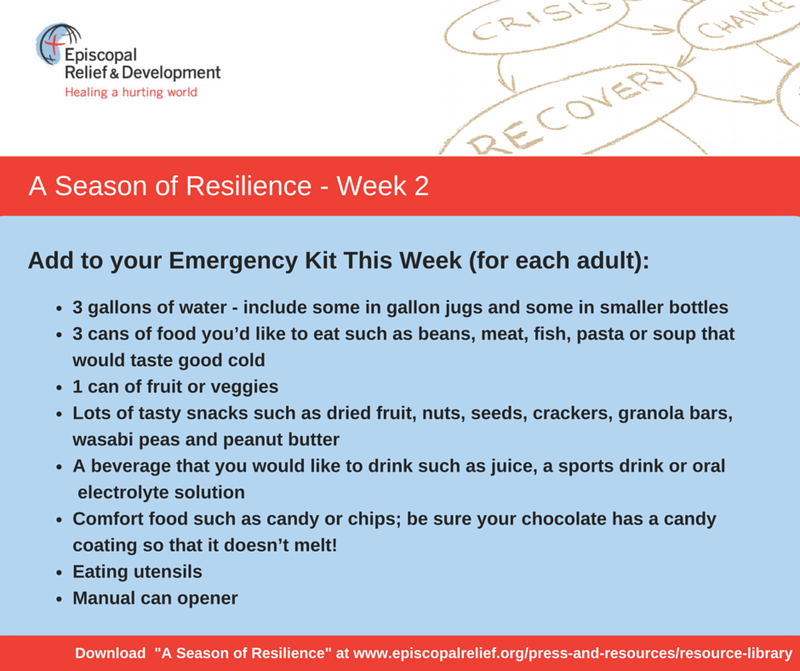 One resource we highly recommend is Episcopal Relief and Development’s “A Season of Resilience”. The tasks are broken down over a five-week period. 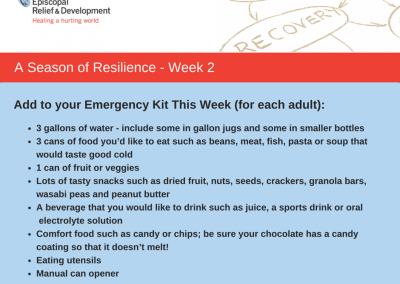 Making a plan and building an emergency kit has never been so easy. Graphics for things to do during week two are found below.